driving into work with my carpool, we fell into our happy and familiar pattern of chatting about 642 subjects, all of them connected in some obscure way, laughing, drinking coffee, and for some reason, forgetting, (more than we normally do) what we were talking about due to the onset of a case of extreme short term memory loss, – oh, but of course, it suddenly hit me – we must be running low on carbs! we were clearly calling on our reserve tanks, with carb levels teetering dangerously on the edge of empty. 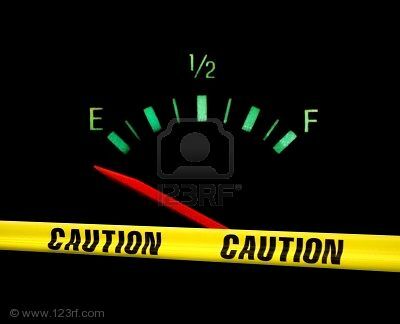 someone really should invent a gauge that would be even more important than the one that currently exists to show where you stand with your gasoline level – to best support the greater good, and in order to maintain a level of personal and world peace, and to get things done, it is imperative to create a low-carb gauge asap! perhaps if cinnamon raisin bagels and pringles and ranch flavored doritos had been invented in time, many wars and crazy decisions would have never happened and many very important things never forgotten. i would buy one of those! But … but … how would all those meter fit on the dash of a car? I mean, along with the Carb-o-meter, I’d want a Caffeine -gauge and a Choco Fluid Level warning light. Maybe even 2 Choco warning lights nod nods.